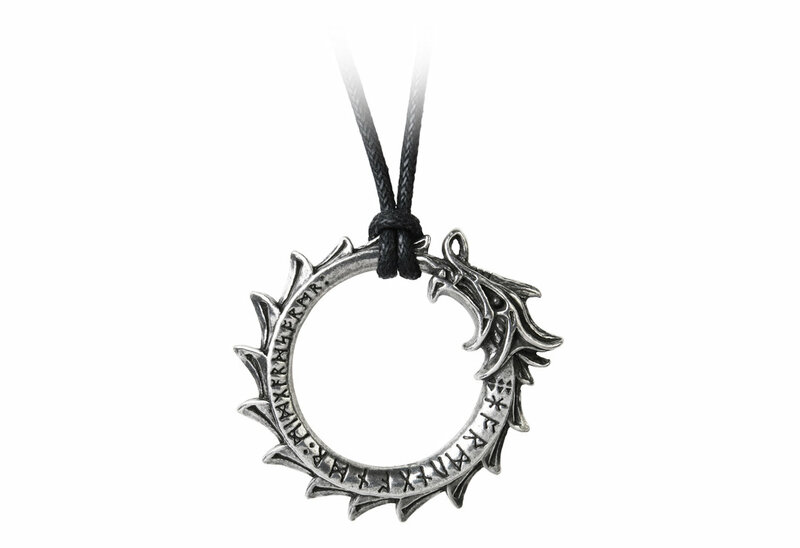 A serpent pendant encircling the ocean which surrounds the world with engraving all around. Measures approximately 1.77 inches high, 1.93 inches wide and 0.28 inches deep. 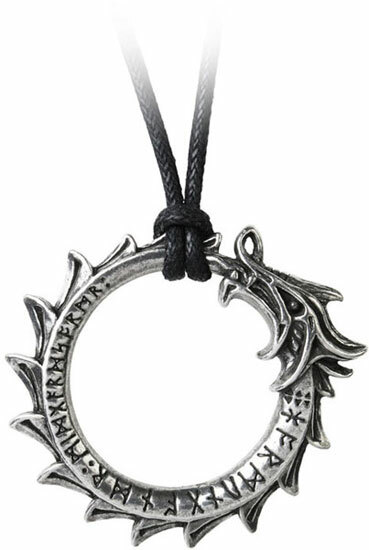 It is made of fine English pewter with a 100% leather thong cord. The cord measures approximately 32 inches and is adjustable with a wax finish. By Gothic Alchemy.